We've been pondering what's better; visiting new places or returning to someplace you love. For us this place is Paris. The more time we spend in Paris the harder it seems to leave. There is so much more to Paris than the museums and the Eiffel Tower, which we aren't putting down in the slightest, you have to see those big sights. BUT we implore you to try and make some time to see the "real" Paris. That is why we've created this unique guide of things to do, eat and drink in Paris, and you wont find any museums on this list. 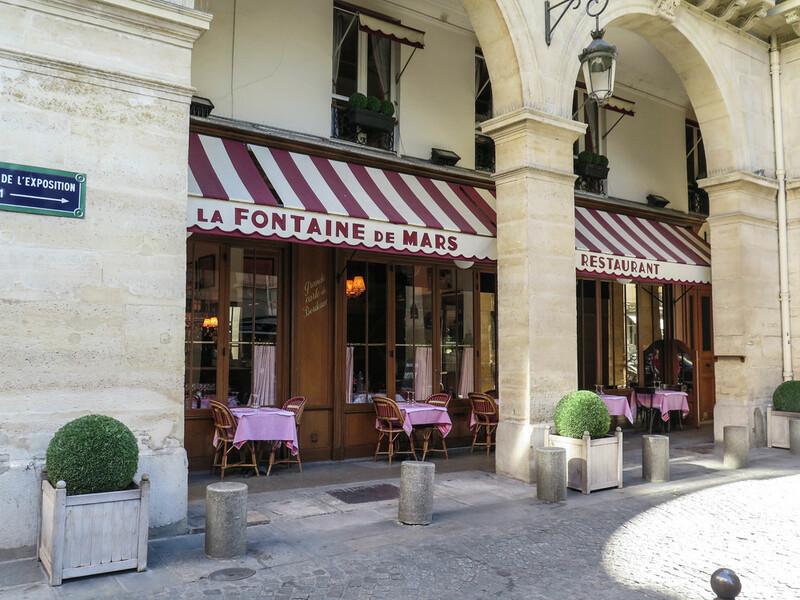 Head to 2nd arrondissement and set off on a treasure hunt to find the covered passageways of Paris that are hidden throughout the city. These ornately decorated tunnels have mosaic floors and glistening glass roofs. Each passageway is unique, some contain bookstores, others cafes and wine bars. 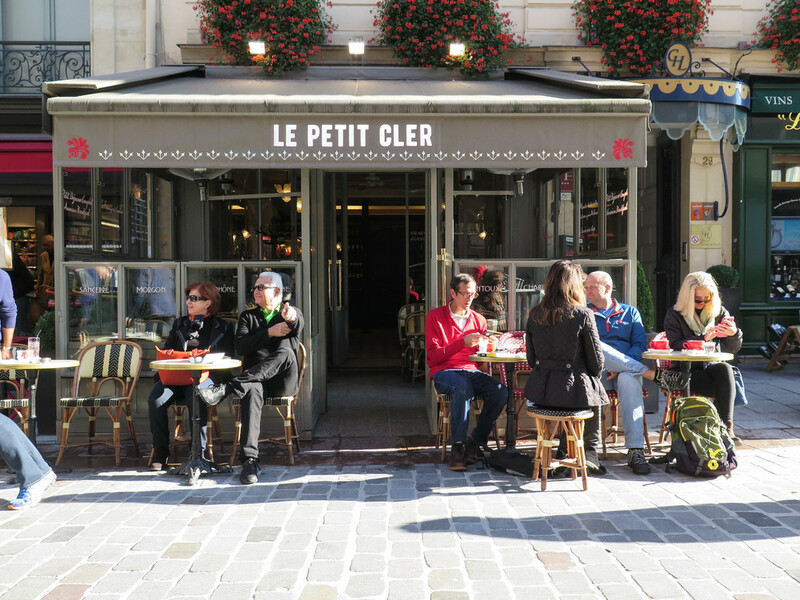 Grab a glass of wine in a hip cafe under the glass and watch Parisians stroll by. Go back in time with the new app Detour's tour of Montparnasse. 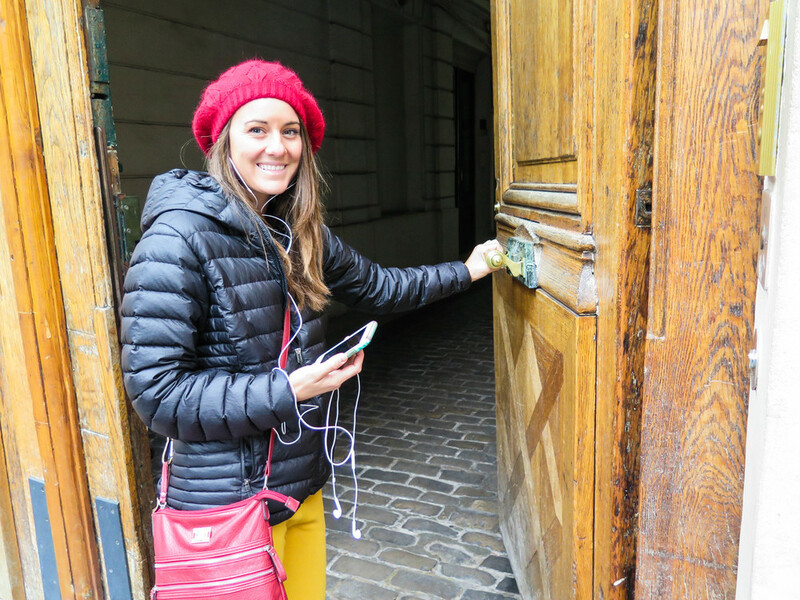 All you need is the app on your smart phone and some headphones to have a one of a kind experience in Paris. The nararrator Kiki takes you around to all the old hangouts of Hemingway, Fitzgerald and Picasso. She tells you about the crazy parties of this glitterati and about the art movement that changed the world. This interactive tour is something you will never forget. 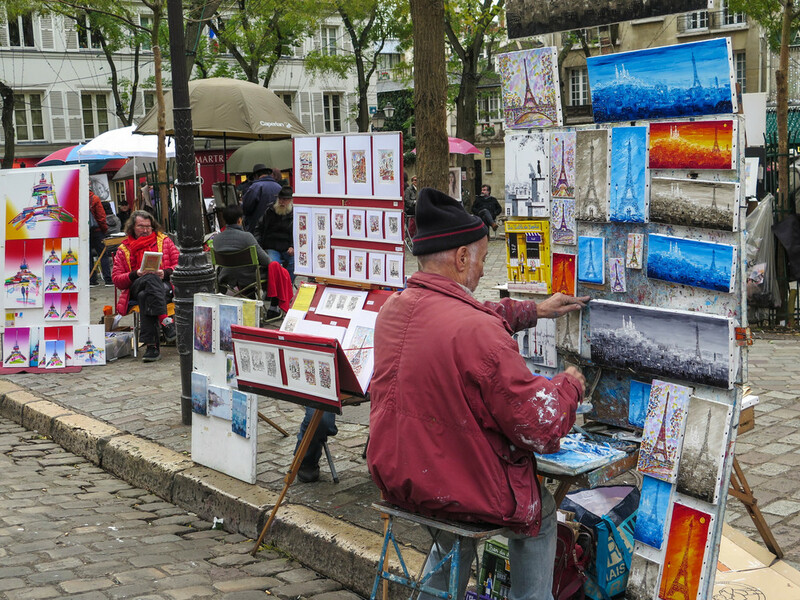 This classic European street market gives you a small village feel inside Paris. This pedestrian only street is lined with stores and stalls that sell the freshest ingredients in the city. Locals shop here daily. The Fomagerie here sells over 400 types of cheese. Rue Cler is close to the Eiffel Tower, we tend to stick to our favorites and get some cheese, charcuterie, and a bottle of vino and then walk to the Eiffel Tower for a picnic on the grass. 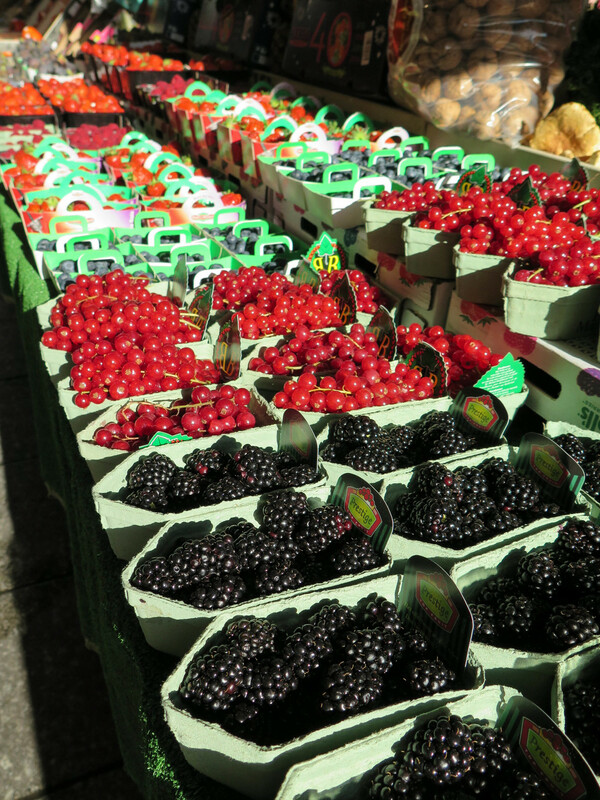 A great time to come to Rue Cler is in the early morning to see all of the best produce and fish available. 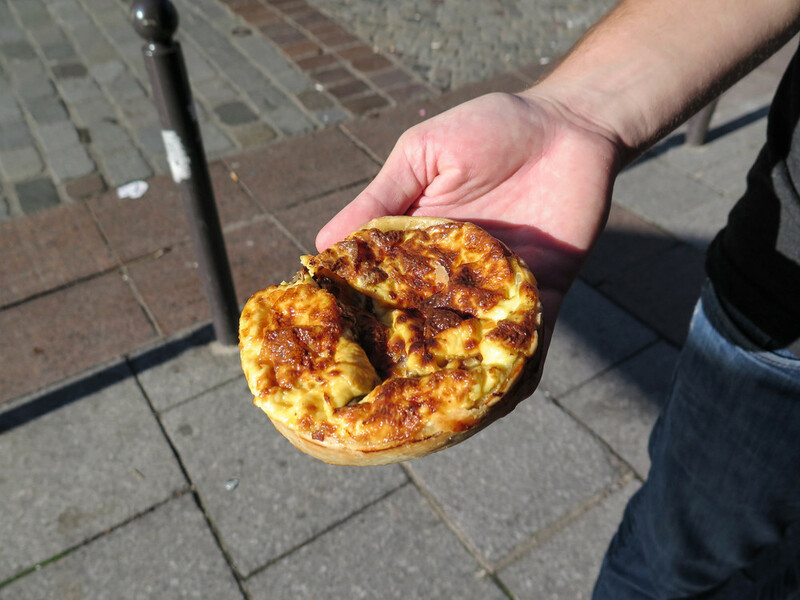 Don't be afraid to slurp down an oyster, and you do not want to leave this street without eating a hot quiche. Okay, so they aren't hidden if you know where to find them. We love to seek out parks and gardens inside large metropolis's. They are like oasis's in the desert, finding a quiet place to relax in a place as busy as Paris is a crucial part balancing your time here. Considering how much you will be walking in Paris, finding a nice garden to sit in is quite a treat. 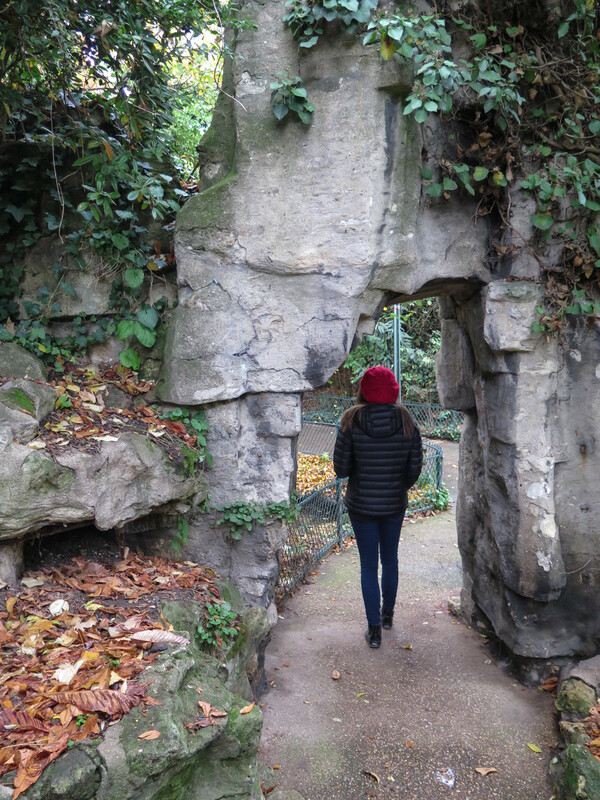 We listened to a podcast from Rick Steves about the gardens of Paris and were determined to seek them out. Listen to the podcast here! Our favorite garden was called the Jardin de la Nouvelle France. Only steps away from the Grand Palace this tiny garden has a mini bamboo forest, a trickling stream, ponds and moss hanging from the trees. Many of the best gardens in Paris are just steps away from busy areas and yet few people seem to know they are there. If you want to feel like a local, spend some time finding these beautiful parks. TIP: You might be asking yourself how the hell do I get around to all of these spots! Well we do a lot of walking because there is no better city to walk than Paris. The best way to get around Paris is the metro. Buy a "carnet" or a book of 10 tickets. Having a stash of these tickets makes getting around easy. Metro stops are all over the city and it makes the longer trips across town quick so you can explore more efficiently. One of the coolest tapas places on earth. This tiny standing room only wine/tapas bar serves up small bites to die for. 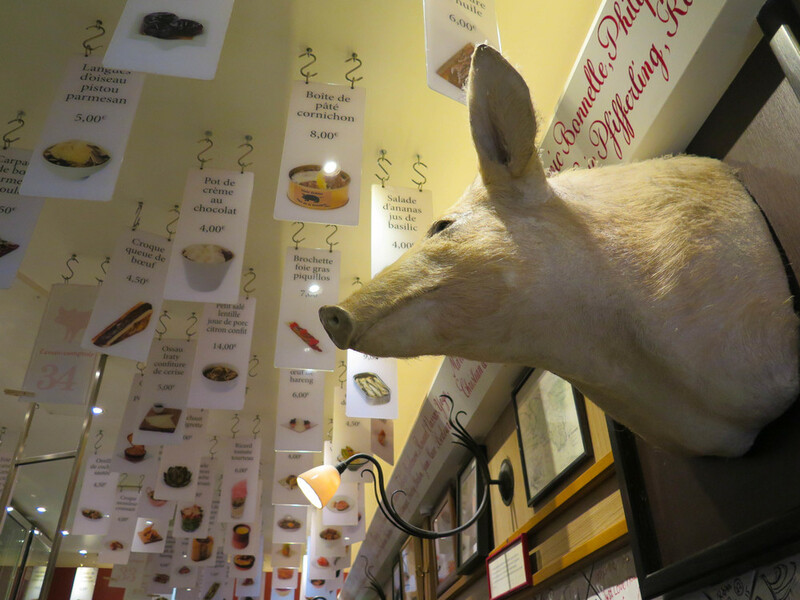 The menu is in the form of dozens of signs hanging from the ceiling. Look up and order everything, especially the foie gras on the stick! 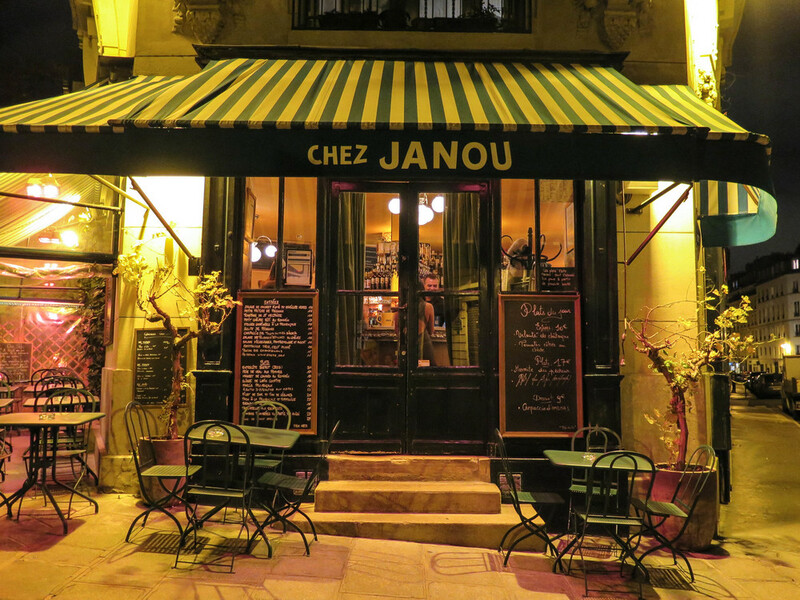 This is a classic French bistro has it all. 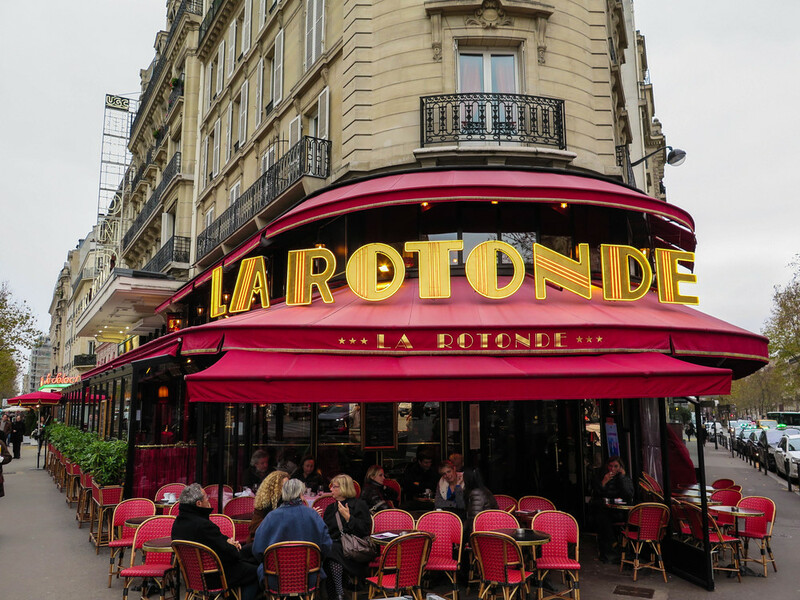 A famous little spot (mostly because Obama ate here) is close to the Eiffel Tower and shouldn't be missed. All the food here is amazing. 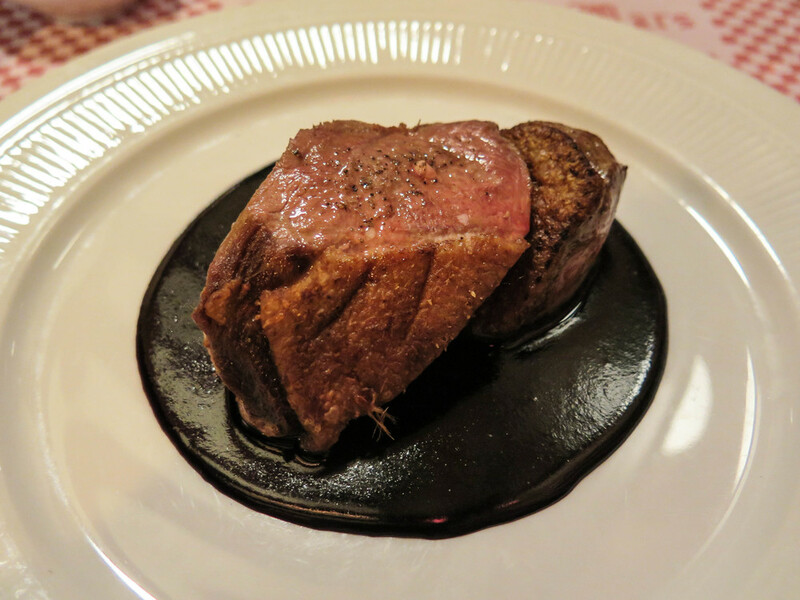 Imagine pumpkin soup with foie gras, chicken with morel mushrooms, and seared duck breast with blackberry compote. You get the idea! Make sure and get a reservation. If you love cheese like we do and are looking to get that fondue fix, look no further. This rad little area has a bunch of different restaurants that specialize in that gooey delicious cheese we all love. After dinner hang around this area for a while, you will find lots of locals sipping drinks in the many bars around. TIP: Don't leave Paris without eating: Beef tartare, foie gras, croque madame, hot quiche, charcuterie, cheeses, and lots of French bread! A pedestrian only street in the Latin Quarter filled with bars and restaurants. Come here to mingle with a fun crowd as you bar hop down the street. We would never have known about this watering hole if it wasn't for our Air BnB host. (Thanks Claire) Tuck underneath the Pont Alexander Bridge and you will find a couple outside bars serving wine and cocktails along the Seine. A very local vibe, brush up on your French here with new friends! The perfect place to bring a bottle of vino on a sunny day. Hang your feet over the edge of the canal and soak in the sunshine! The African hot chocolate is famous here. There are two locations, we prefer the one near the Luxembourg garden. If you are in Paris long enough you will surely have a rainy day, and sipping on decadent hot cocoa while you watch the scurry of umbrellas go by seems to make for a perfect afternoon. TIP: Dont leave Paris without drinking: Pastis! Pastis! Pastis! oh and did we say wine? and champagne? Drink some water too. Looking for a great bottle of wine? Well most of the wine here is pretty damn good, but splurge a little on wine here. These beautiful French wines are much cheaper here than in the US. 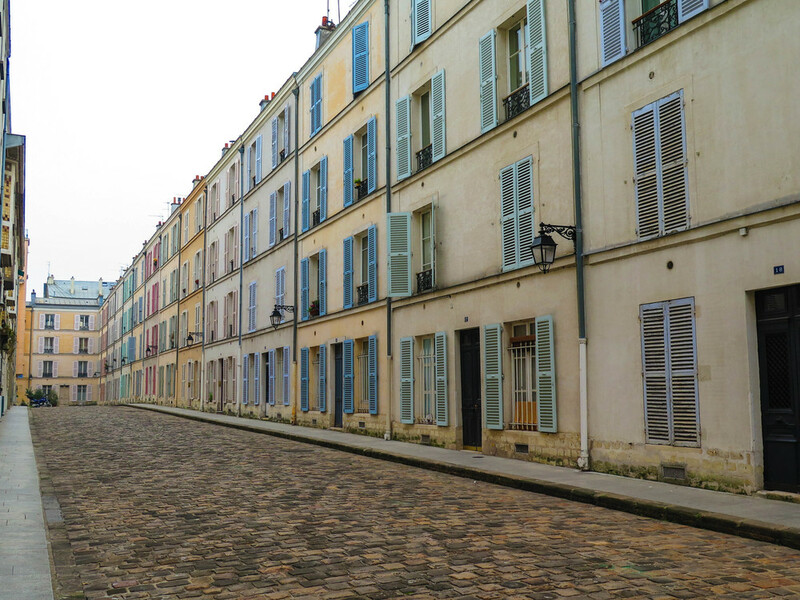 We like to think we are little Parisian pros, but this city can be a humbling experience. We have read the guide books and we have read their Paris itineraries and while we understand what they are pushing, its not going to make you fall in love with Paris. Simply put Paris is broken down into 20 arrondissments, and each of those arrondissments has more restaurants and things to do than any traveler could conquer in a week or two. While we agree that going to the Louvre is important, don't feel like you are missing Paris by not seeing all of the big museums or not going to the top of the Eiffel Tower. 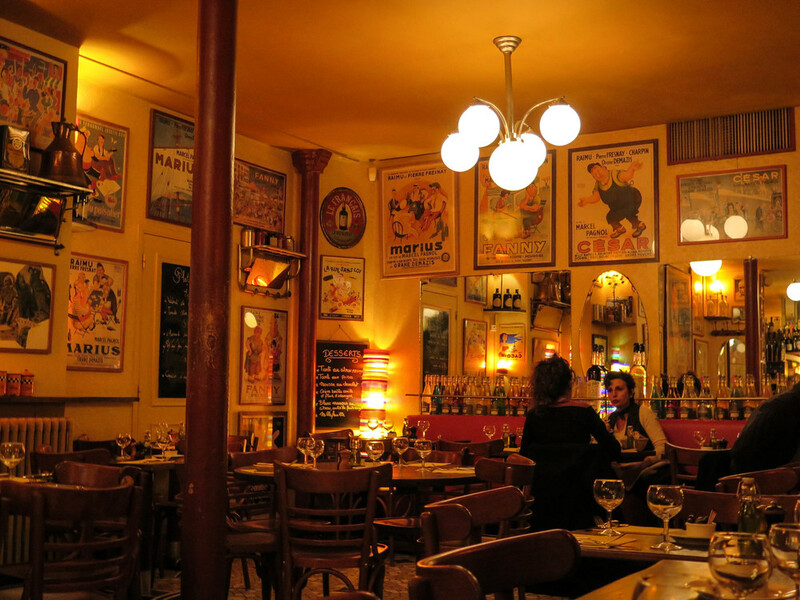 Also remember there are over 5,000 restaurants in Paris alone, and a great way to experience their culture and to feel like a local is to find the little neighborhood restaurants and sip a pastis while time slips away. Lastly, we know French is a difficult language; we studied up and made sure we had our food/bakery French and our currency/numbers pretty well figured out. A few hours studying might really pay off in a bustling bakery! We hope you enjoyed our un-ordinary guide to Paris! We hope you have a wonderful trip! Sign up with your email address to receive new updates from the road!